Today’s BoardPusher.com Featured Deck was created by tattoo artist Ray Sanchez. The cool thing about this custom skateboard graphic is that it also exists on somebody’s body. To see that tattoo and more or Ray’s work check him out on Instagram @raysanchezart. 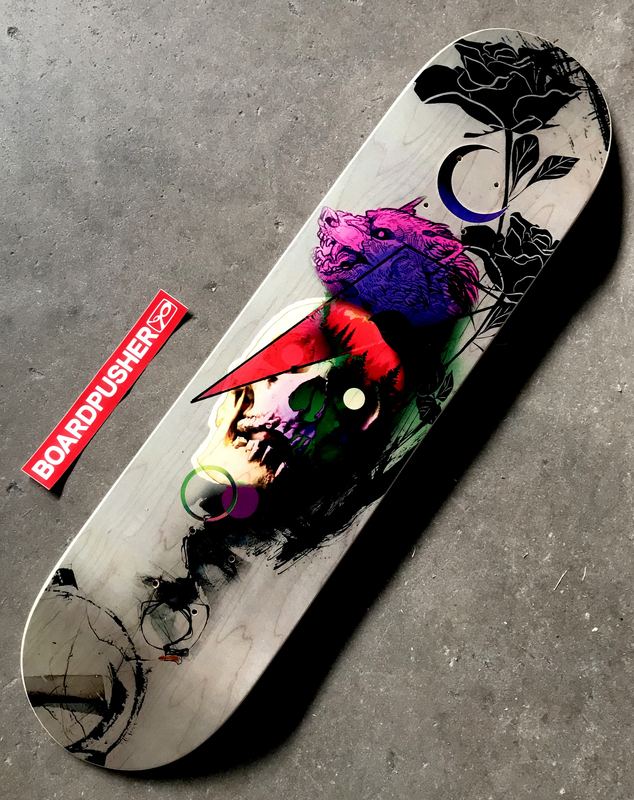 Add skateboards to your arsenal of canvases by creating a custom design at BoardPusher.com.